Do Millennials bank differently than the rest of us? The creators of Simple would seem to think so. 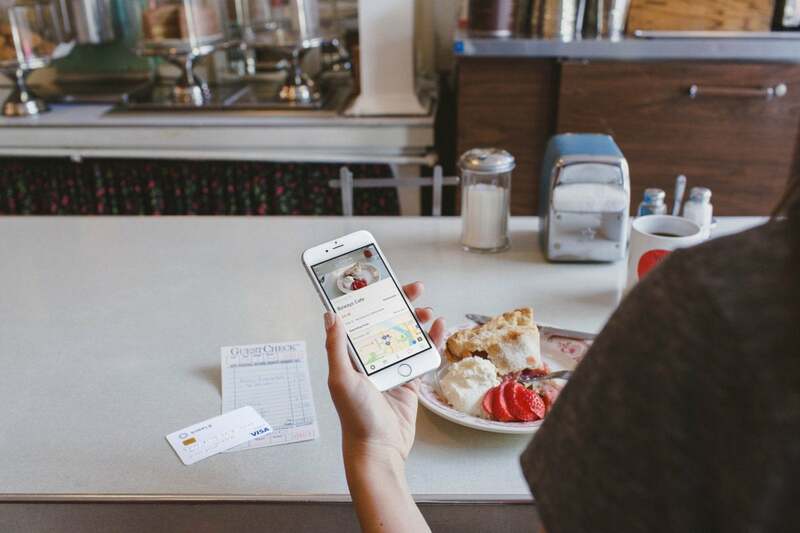 This all-digital banking and budgeting app appears to be aimed squarely at tech savvy 18-35 year olds looking for a frictionless way to manage their finances from their phone. More than a budgeting app, Simple is a free checking account with a set of unique budgeting tools to enable branchless banking. Each account includes a Visa debit card, photo check deposit, direct deposit, external account linking, instant transfers to other Simple customers, and integration with third-party payment services including Square and Paypal. Any funds deposited in your Simple account are held by its banking partner, BBVA Compass, Member FDIC. 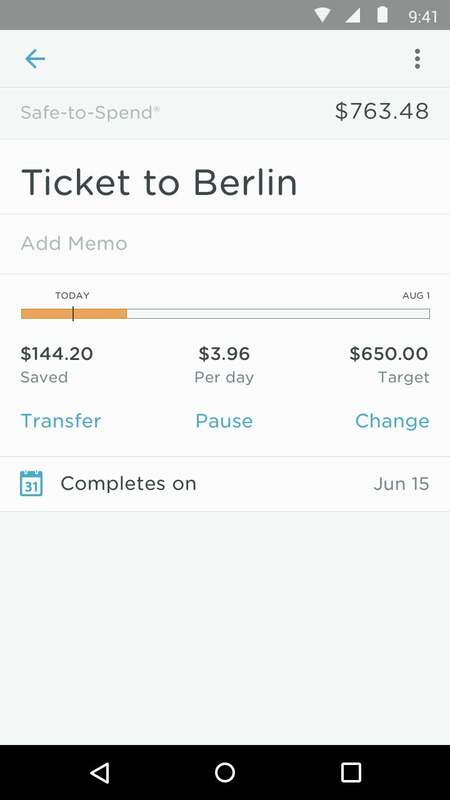 Simple lets you set long-term savings Goals and automatcially deducts funds daily to meet them. 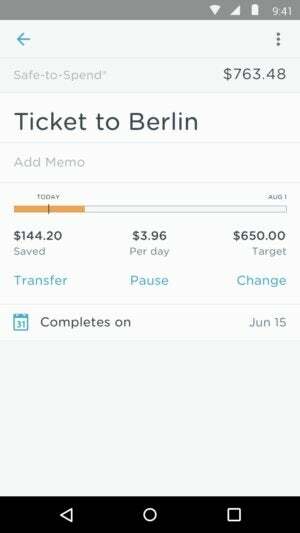 Simple’s real appeal, though, comes down to a pair of features that simplify money management. The first is called “Safe-to-Spend.” Rather than seeing their bank balance when they first log in and having to parse transactions to determine how much cash they have available, users instead see a safe-to-spend amount—their balance minus any upcoming bills and money designated for savings. That savings is enabled by Simple’s Goals feature. Using this automated savings tool, you set a savings goal and a deadline. Simple calculates the daily contribution needed to meet it and socks that money away for you each day in a dedicated Goal sub-account. While Goals can be set up for any expense, from monthly bills to a trip to Paris, Simple sets up a separate Emergency Fund for unexpected expenses. The app helps you determine what to save by looking at your income and how quickly you need to build up your fund. Then it automatically deducts daily amounts and moves them to a Protected Goals account to prevent you from spending the money. These two features perform much of the heavy lifting of budgeting, but Simple also offers plenty of tools for actively digging into your finances, including easy expense tracking, detailed earning and spending reports, and a hashtag system for contextualizing your purchases. There’s also robust support documentation and an accessible customer service team to help out when necessary. True to its name, Simple really streamlines the banking and budgeting process. But its limitation to just Simple accounts make it best suited for those with, well, simple finances, who are also comfortable banking without a brick-and-mortar location to fall back on. If you have investments and/or other checking and savings accounts, you’ll have to use Simple in conjunction with those bank’s tools. However, apps like Mint or You Need a Budget would give a clearer look at your whole financial picture in that case. Simple streamlines banking and budgeting but is best used by people uncomplicated finances who already live off their phone.